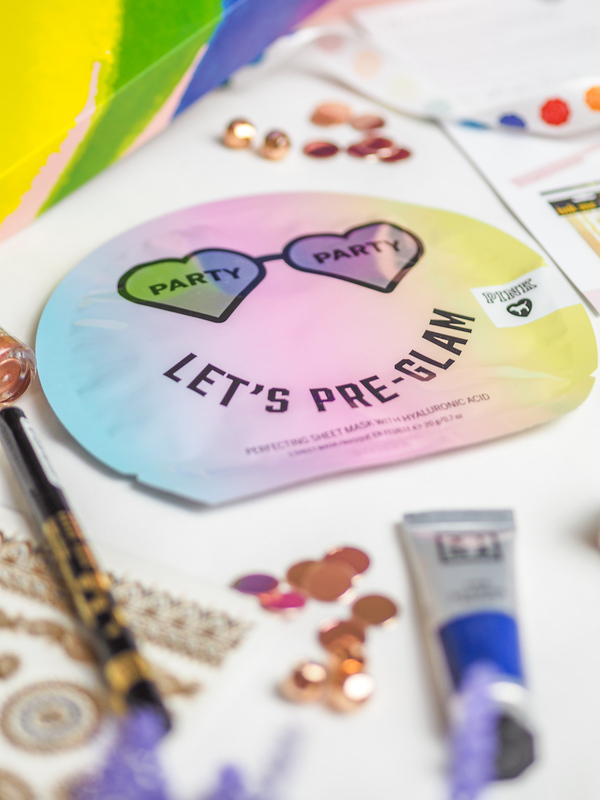 First up in this month’s box is something that would be ideal if you were heading to any Pride celebrations – the Rimmel Lonon Ink Me Stamp and Sticker Tattoos. The stamp is the cutest little heart made from matte black ink. I wish I was going to a festival this summer so I could get some use out of it! The Stickers are just like the ones featured on Love Island this year which makes me v. excited. I’m most definitely going to be having some fun with these! Next is the 3INA The Shadow Paint in 703. This makes me a bit nervous because the last time I wore blue eyeshadow was probably when I was about 11 in my dance show. 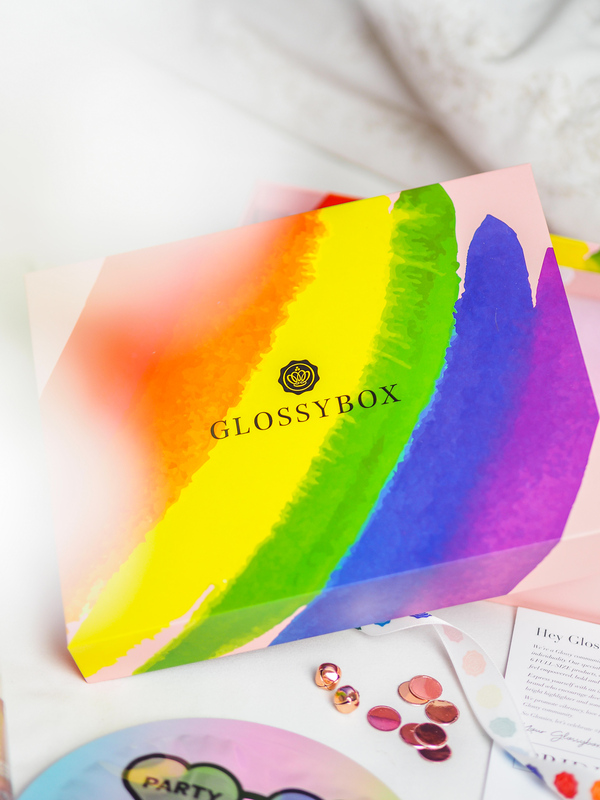 But, according to Glossybox, blue is back in! This is a highly pigmented, long-lasting and waterproof liquid eyeshadow. 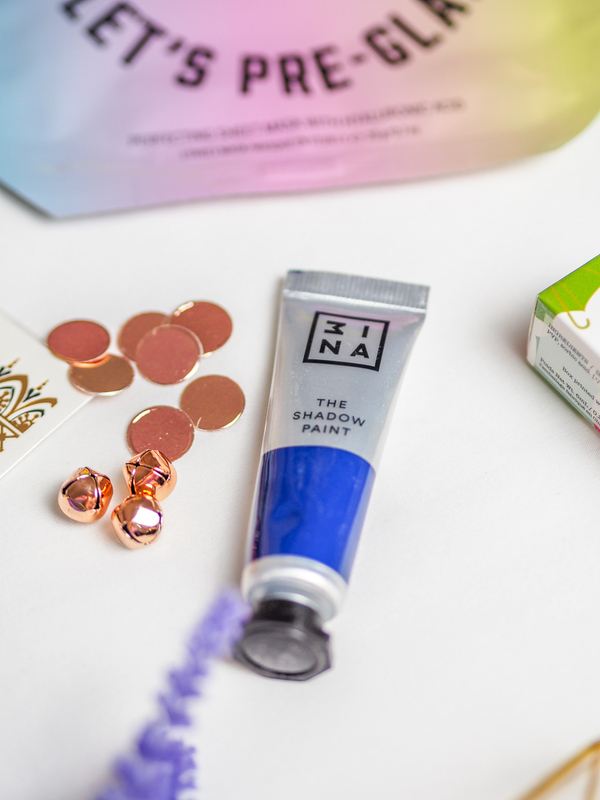 I’m keen to give this a whirl, but if the blue shadow is a bit too much for me, the lovelies at Glossybox have suggested applying it as an eyeliner instead – perfect! The Kaleido Cosmetics Astrolight Highlighter is a thing of beauty. 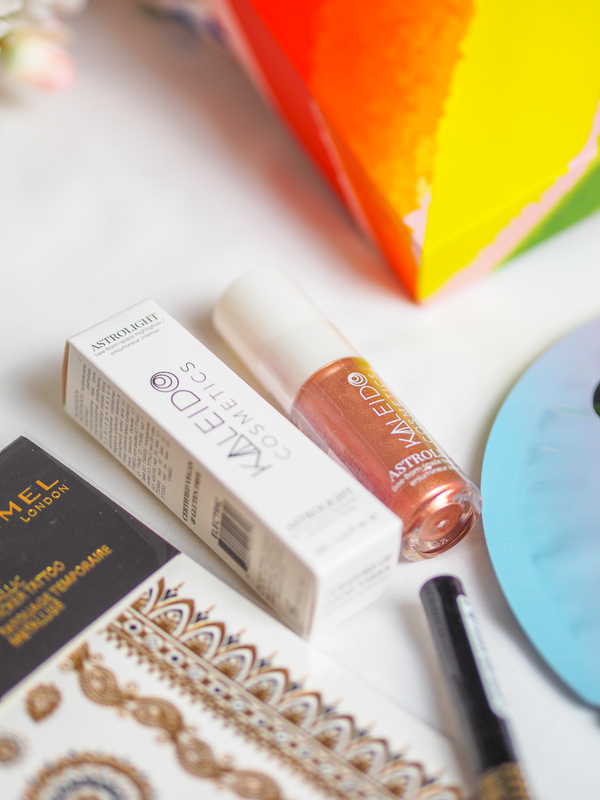 Kaleido Cosmetics is a brand I hadn’t heard of previous to this box, and this highlighter in Astrolight one of their most gorgeous products! This is an 8-hour highlighter in a gorgeous rose gold shade. It’s 100% cruelty-free, vegan friendly and smell beaut too! It can be used as a normal liquid highlighter and dabbed onto the high points of your face, or it can be mixed in with your foundation for an all-over dewy glow. Who doesn’t love a face mask, especially when it’s Victoria Secret?! This is a nourishing sheet mask made for insta-complexion perfection! It’s supposed to hug and contour like a second skin and is formulated with hyaluronic acid to help achieve a flawless base for make-up. I’m definitely going to be using this before my next night out! The last product in the Pride box is from Trifle Cosmetics. 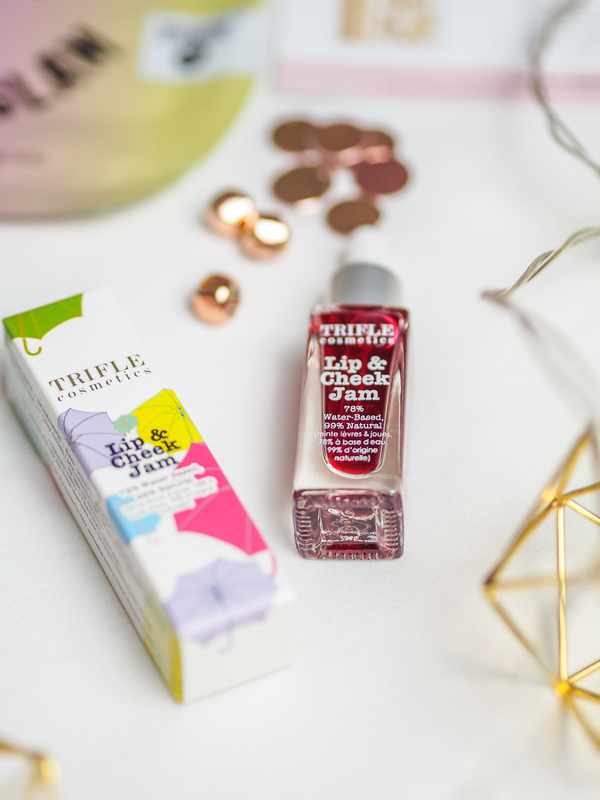 I’d come across Trifle Cosmetics back in May’s Glossybox so was happy to see their return! This is a multi-task lip and cheek ‘jam’, key to getting a healthy, natural flush of colour which will last up to 10 hours. It’s natural, vegan, cruelty-free and organic too. And that’s everything! 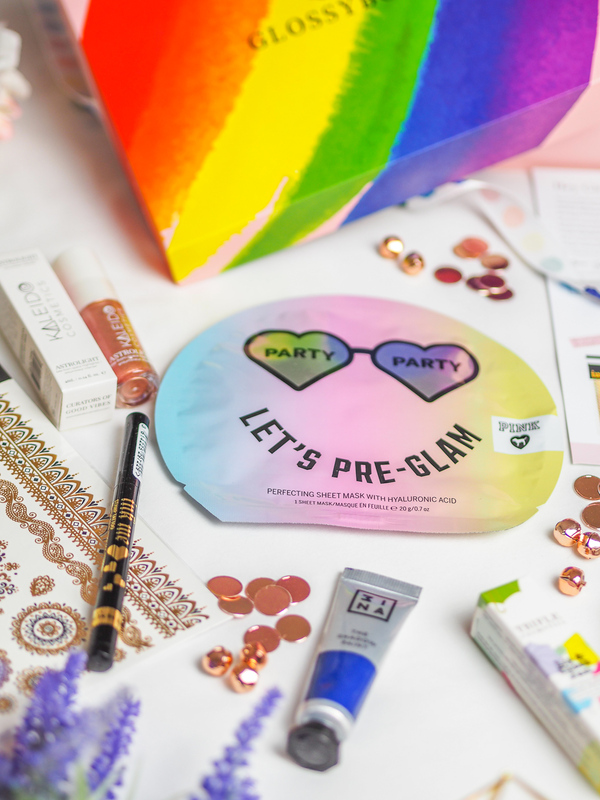 There was certainly some more niche products in this month’s box but I loved the theme and how fun everything is – I just need a celebration or festival to be able to use them now! 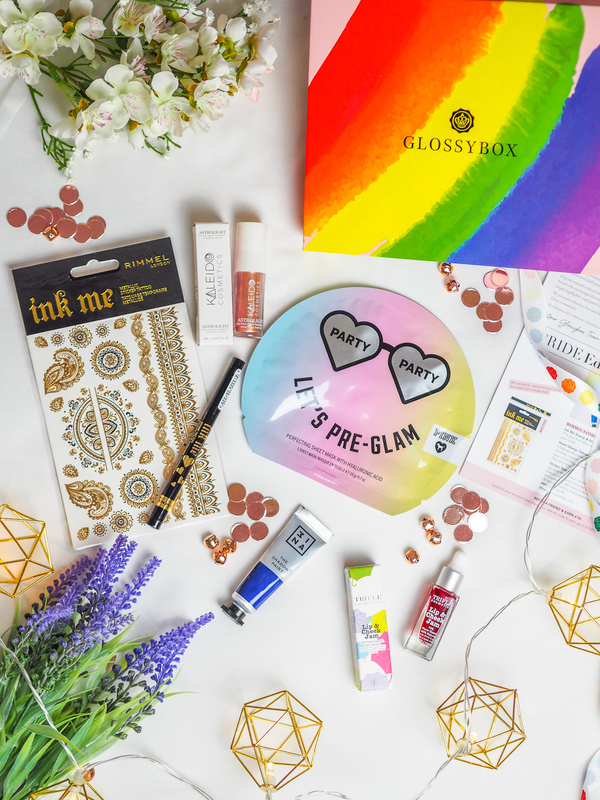 If you want to get your hands on this month’s Pride box, you can do so here. Use LUCY15 to get 15% off! "Everything I learnt at university"
"How I’m getting a better night’s sleep"